A Story A Day: Game of Emotions, Two iPhones and Moaning on Twitter. Game of Emotions, Two iPhones and Moaning on Twitter. There is no power in the house right now because some electricity department dudes are messing with the wires in the street and power would probably be out for another hour or so. After messing around for the previous hour, I wanted to do something that looked or felt like work, so I finally got the table out, got a chair and here I am writing this. I'll post this once the power comes back and the Wi-Fi is back on. I've been bitching and moaning on twitter about n number of things. Because it's kinda fun to do so and you also find out that there are other bastards who have it worse than you. For every person posting a picture of their latest phone, there are two who are using dumb phones to access twitter through dabr or something even lower than that. 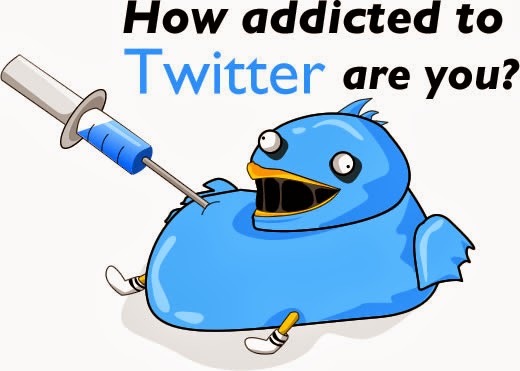 But the real addiction is when you start posting tweets through SMS. When you don't care about your phone bill or remaining balance, but you just *have* to get those thoughts out. How bad can it be? Why not get a diary and write it all down? Because, there is no audience for a diary. There is an audience for tweets. Of course, twitter is a game of audience. I have a spare twitter account that is followed by 29 bots. I sometimes tweet from that account. Now, I am the same, my thoughts are the same, but it's not as much fun as tweeting from an account that is followed by some 5k people. Eyeballs, attention, hate, love, emotions, it's all a game of emotions. Everything is about emotions. Once you understand that, you can explain anything. If you scanned through my twitter page, you'd find out that I moan and complain about certain things on repeat and it's all related to my laziness. No job, which is evident as I've put jobless with my handle. I write that in my bio, too. I often moan about how I have not one, but *two* 3GS phones. It's slightly interesting how these two came in my possession, I've been meaning to do a post about them from quite some time. Maybe next post will be it. Another common gripe that I have is apps not compatible with iOS6. It's all related. All realted to my laziness. But the good thing is that sooner or later, I'll be forced to get out of the lazy mode and get cracking and working on things that need working and I like to believe that right now I am heading towards that work-zone, even if its baby steps and not a sprint. I'll get there. Now, before I started writing this post, I wrote down a list of ten things that I need to do. So, I have something to keep me busy in the coming days. Yup, that's really about it. Just a general update and thoughts about things.